The Porky Gulch Classic, a three stage bicycle race, presented by Great Glen Trails, in Gorham, New Hampshire, was held on November 6th & 7th, 2010. Stage 1, "The Toughest Two", a hillclimb up the first two miles of the 7.6 mile Mt. Washington Auto Road, with riders starting in 30 second intervals, in time trial format. Stage 2 is the "Story Land Criterium", in which riders race through a popular Glen, NH, theme park, running as many laps as possible within an allotted time. In Stage 3, the event concluded with "Rockpile Rampage", held at the Great Glen Outdoor Center, where riders competed in a cyclocross race. Points were awarded based on finish order for each event, then combined, to determine the champion, and "Best All-Around Cyclist in New England." The Porky Gulch Classic, a 3 stage bicycle race, presented by Great Glen Trails, of Gorham, NH, was held on November 6th & 7th, 2010. 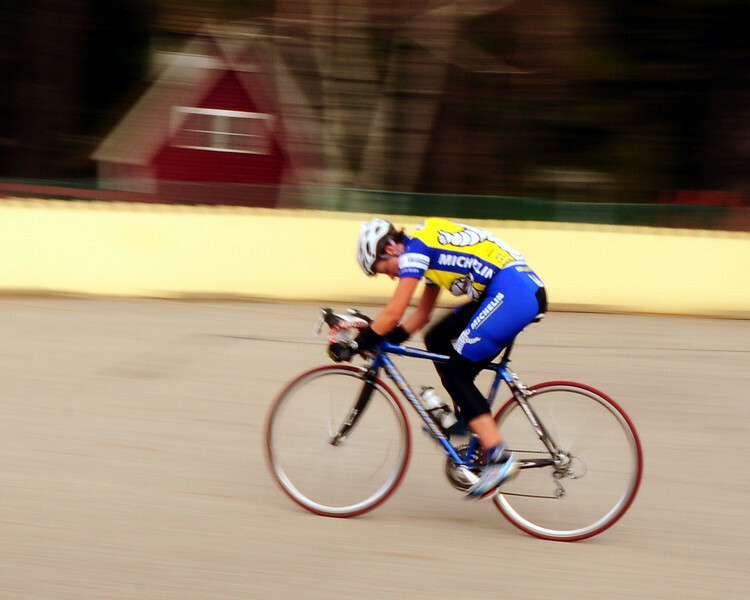 A rider speeds along the course, during the event's 2nd stage, "The Story Land Criterium", which was held at Story Land, a popular theme park in Glen, NH, on Saturday, November 6th, 2010.